The largest packaging event of 2018 is right around the corner! Next month, 50,000 packaging professionals will convene at PACK EXPO International 2018. The four day event is produced by PMMI, The Association for Packaging and Processing Technologies and will feature 2,500 exhibiting companies from around the world. Make plans now to come see us in Booth N-4936 from October 14-17, 2018 at the McCormick Place in Chicago, IL. CLICK HERE to add Dorner to your show schedule. As we prepare for the show, we’re giving you a sneak peek at the conveyors you’ll be seeing in our booth this year. First up we’re showing you our Industrial Packaging Loop. We premiered this conveyor system in Las Vegas last year and we’re excited to be displaying it for the first time in Chicago. This system features some of Dorner’s most flexible solutions for packaging lines and options for elevation changes. Dorner’s SmartFlex Helix is a compact spiral and helical, flexible chain conveyor. Applications for the Helix include accumulation, buffering, cooling product between processes or machines and more. 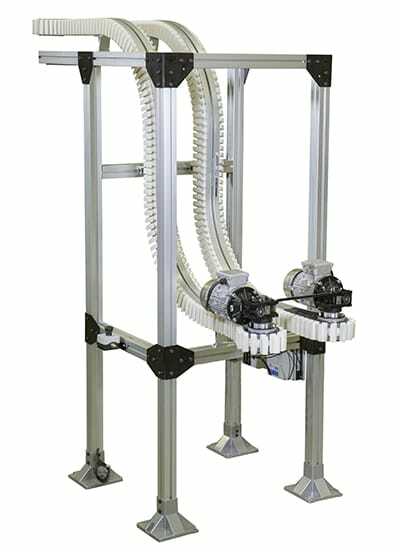 The SmartFlex Wedge Elevator is constructed with two parallel SmartFlex conveyors utilizing a specialty rubber cleated chain. It’s designed to move products securely between the production floor and other elevations. 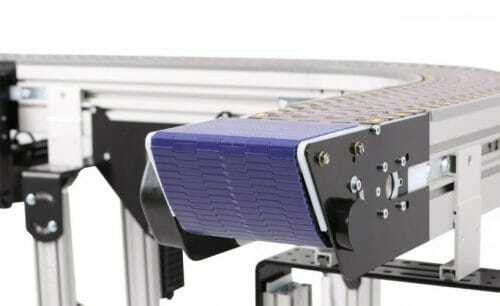 The products are gripped between opposing conveyors lined vertically or horizontally. Wedge elevators are ideal for environments requiring compact footprints, transitions between travel orientations, de-pucking operations and creating passageways on the production floor. The 3200 Series Modular Belt Conveyor features a sleek design and high speed and heavy load capabilities. Check back next week to see our next Booth Preview featuring our 1100 Series / 2200 Series Loop!